Nowadays it's not uncommon to hear Hispanic rhythms on the radio, but in the early 1950s that was not an everyday occurrence. 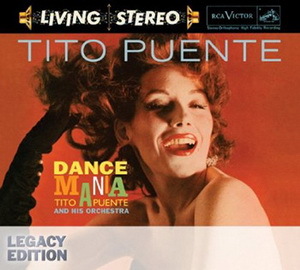 That began to change around 1955 when the mambo briefly became a national fad, yet it wasn't until 1958, when Tito Puente issued "Dance Mania," that Latin music truly become an enduring part of North American pop culture. This 2-disc, 45-song package spotlights that landmark release along with its 1961 follow-up, "Dance Mania 2," plus 21 bonus tracks. There's nothing here that hasn't been heard before, although it's still thrilling to experience such energetic tunes as "El Cayuco" and "Mambo Gozon" from the initial outing, or the sequel's invigorating "A Gozar Timbero." The extra cuts are similarly appealing, though not crucial. Overall the set is a solid successor to the label's 2005 release, "The Essential Tito Puente," and further testament to why the artist is rightly revered as both a lounge legend and the King of Latin Music.